I would definitely say the plot has arrived in LWA! 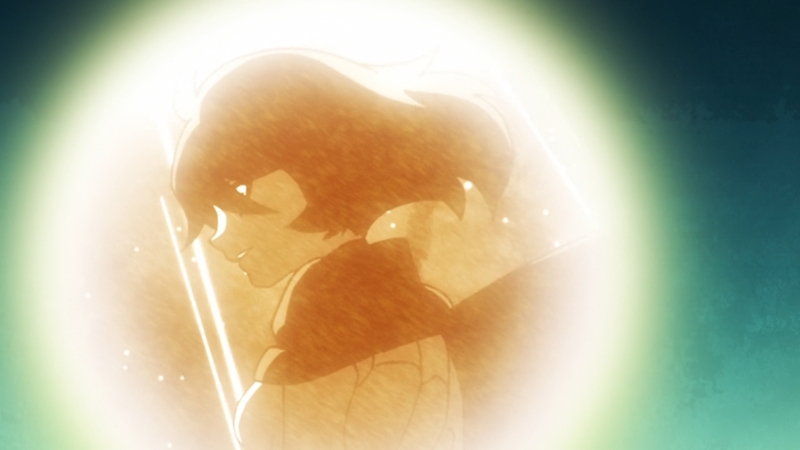 Easily one of the strongest episodes and one that pushed the story ahead. This really dropped some big pieces of information and informed where things are heading. We finally have an idea what is special about the Shiny Rod or more properly named, Claiomh Solais. That staff is the key to breaking the seal that the legendary Nine Olde Witches placed. They seal they placed locked away the Grand Triskelion, something that has the power to literally change the world. Now I don’t exactly know what kind of art this Grand Triskelion is…but something with that kind of title behind it sounds pretty darn important. 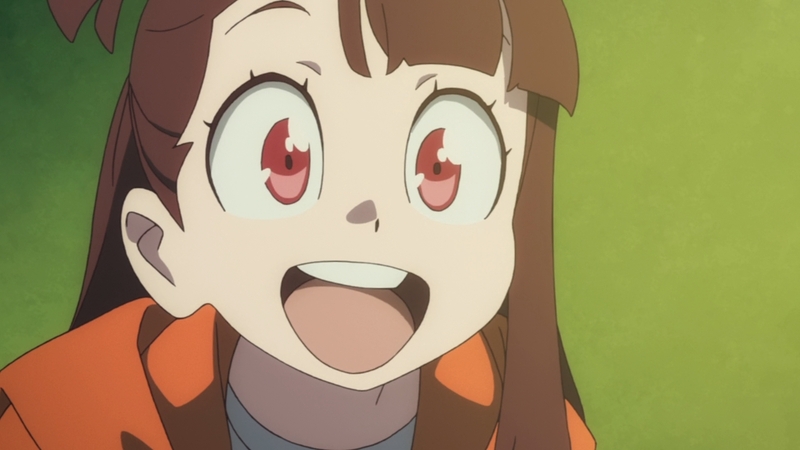 And all that importance has centered itself upon Akko. Oh boy…that’d be a lot of pressure if she knew anything about this XD. 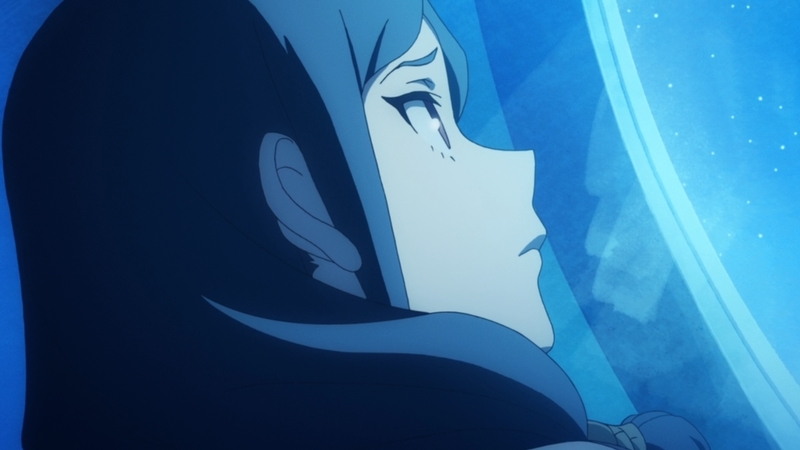 This episode was a good chance for Akko to continue her character development, grow closer to Ursula, and even for Diana to find out more about what is going on. 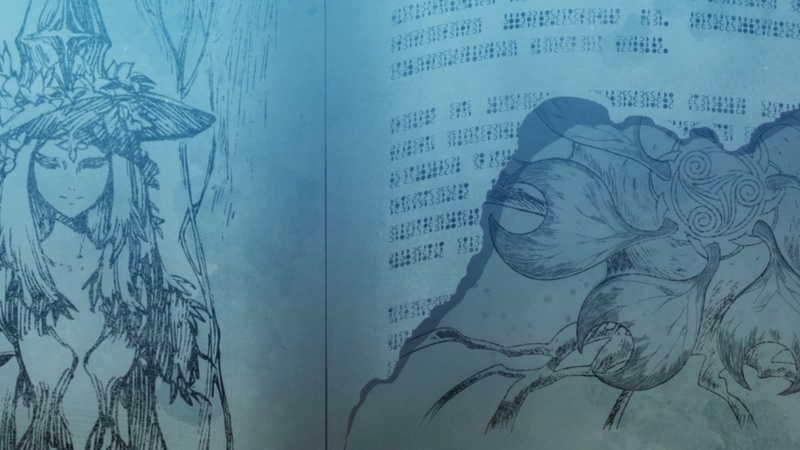 The episode was also one that felt different in atmosphere and tone. It felt more serious. 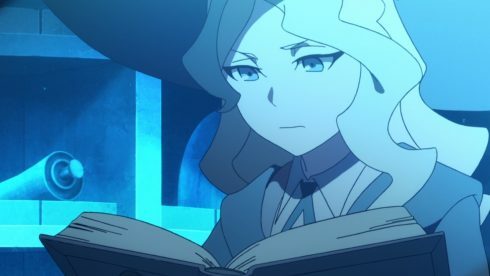 Diana wasn’t a major focus of the episode, but it is clear that Diana is finding out a lot of important information on her own. Now whether she pieces together that Akko has the Claiomh Solais is another question entirely. She is pretty sharp so she might, but we’ll see. Although even if she does figure it out I’m not sure what she’d do. The Rod didn’t choose Diana and it’s hardly as if Diana would be the type of person to try and steal it. Regardless it is interesting how Diana is getting more involved in things just without taking the spotlight. 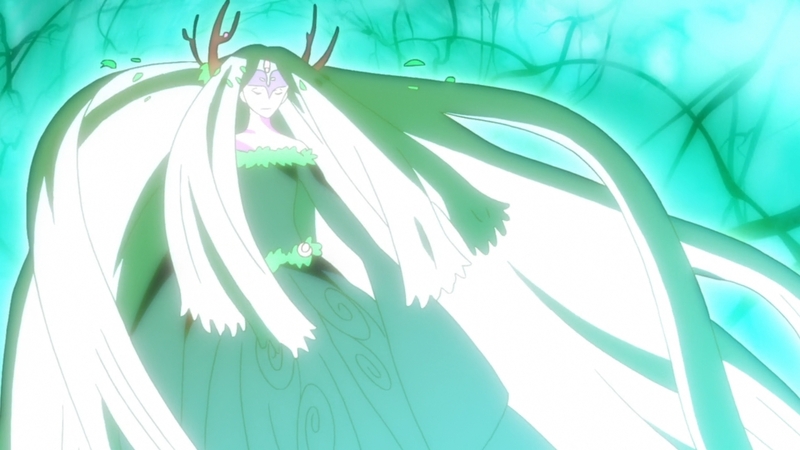 And yeah this episode literally took the next step in proclaiming Ursula as being Chariot. 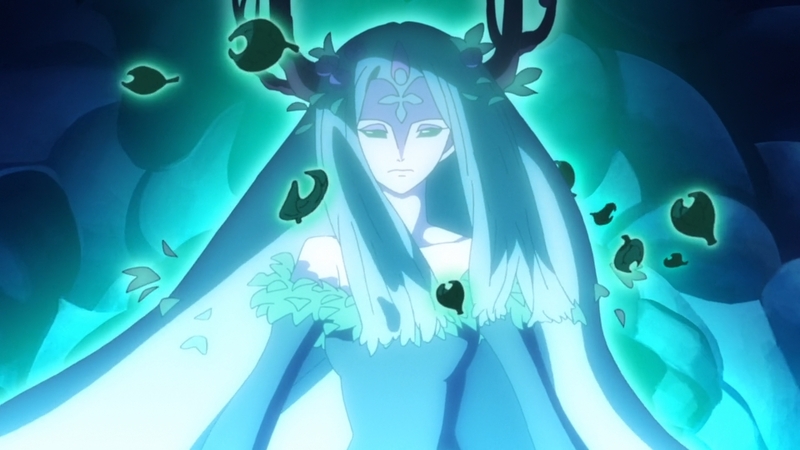 Although I would say episode 6 was pretty blunt on that one. This just is being more open about it with ‘Chariot’ having flashbacks to her time in the spotlight and discussing things with Professor Woodward. If nothing else this episode did make me wonder about more about Chariot and why she did fall away from the spotlight. 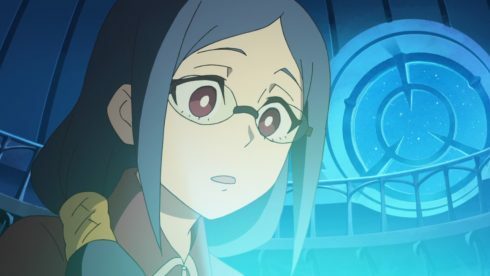 Akko has revived two of the Words of Arcturus and those are words that Chariot herself already knew and passed along via her cards. 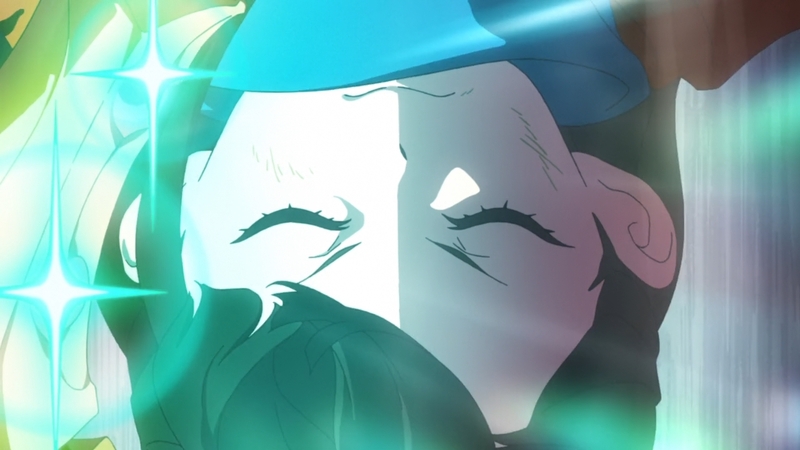 I guess this would imply that Chariot herself wasn’t able to revive the words? 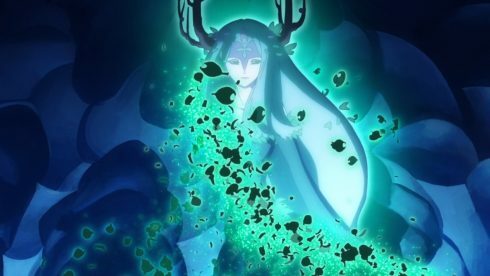 Does it mean that despite all her hard work and ability that she wasn’t quite able to revive those words and undo the seal? Though Woodward also said that the rod was revived so…maybe something happened to Chariot and the Shiny Rod was lost or deactivated? A lot of questions are coming out of this episode. What we know is that Woodward wants Chariot to help Akko and support her in reviving the other 5 words. That makes 2 words revived and 5 more to go. 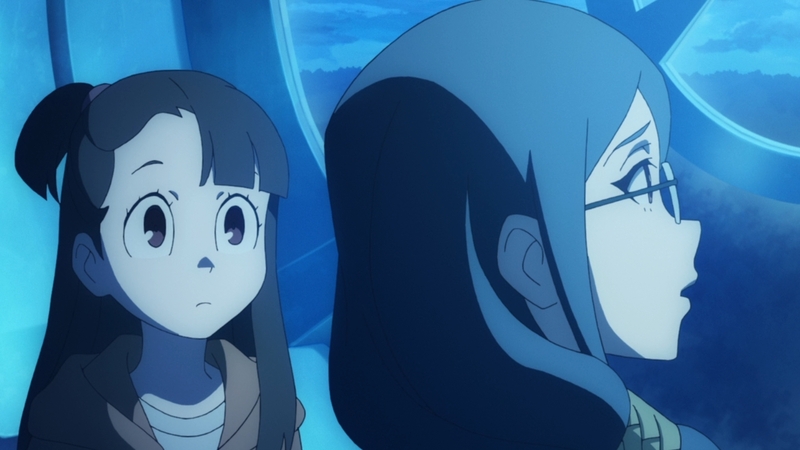 The central focus for the episode is Akko facing her desire to be Chariot and her own doubts. Unlike with the fountain she didn’t outright want to be made like Chariot in that instant…she just wanted to know if she had the ability to get there. She is working hard and yet she still hasn’t reached the level she wants. Though in reality Akko wouldn’t be able to say she’s made no improvement if she looked at her overall record. Sure, she couldn’t put that statue back together perfectly, but she got close. It just required a slightly better placement of the limbs, but she wasn’t that far off. 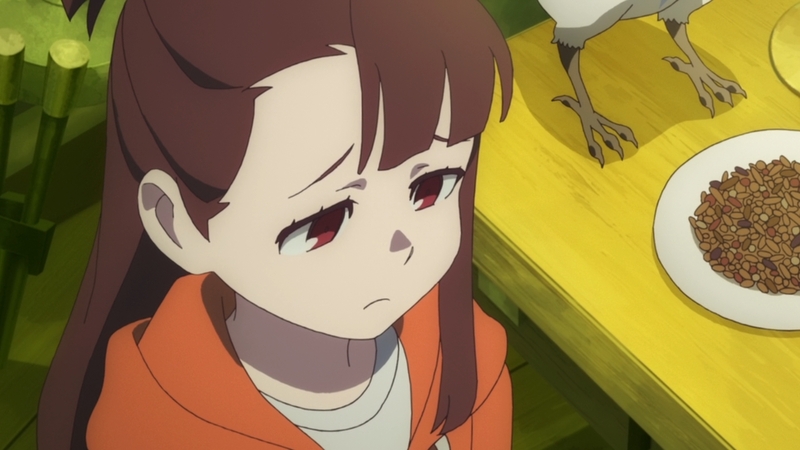 Regardless though Akko just wanted some concrete help. Of course Professor Woodward was testing her and not making it that easy. First using that fake Chariot image and then tempting Akko. Offering her the future she desires, but only if she erased the past that defined her. It isn’t surprising that it was the memory of Chariot being at risk that tipped the balance. Of course all the memories were precious to her, but I don’t think she could bear seeing that one erased before her eyes. 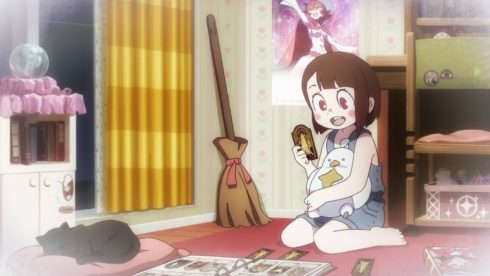 It is nice to see that Akko understands how important her own past is. Her failures are part of her and will be the building blocks to her future. She does want that future she saw to be reality, she does still want to be Chariot. But Akko knows she won’t get there by abandoning her past and the friendships that support the present her. Another big plot point though was the discussion by the teachers. It was likely information covered in part by the show, but it is still solid information. 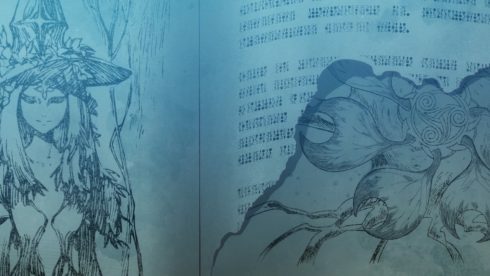 It isn’t simply that technology has blossomed over the years, but something is outright going on with magic itself. Witches could use magic wherever they wanted in the past. It wasn’t a big deal to use it wherever, but now the supply of magic stones is limiting them. Something has happened either to the Witches or to magic. The number of witches is decreasing but that may be more a social thing. The rise of science may simply be leading to potential witches not bothering with it. 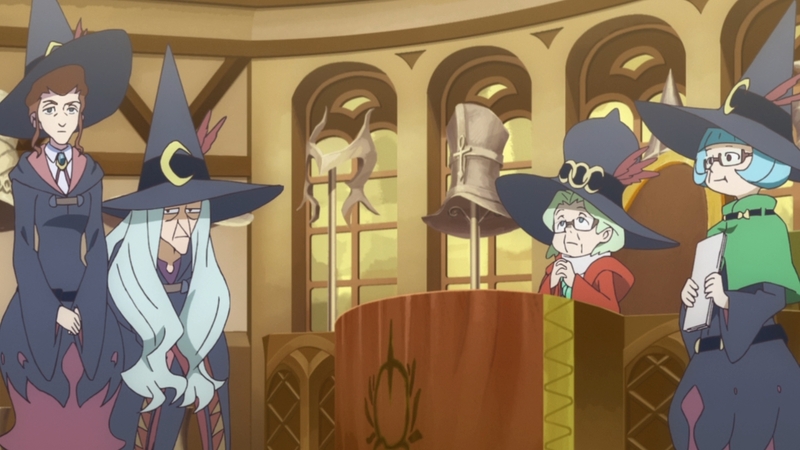 But clearly the lack of ability to use magic is a real issue that has crept up on that society over time. Finding and unsealing the Grand Triskelion may be the key to reversing that. 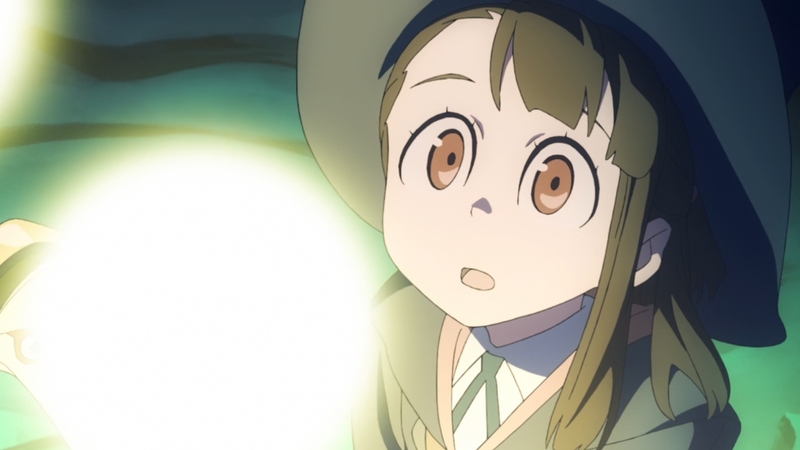 What is also interesting is that flash that Akko saw after using the big spell this episode. It seems the past was very extreme and destructive. 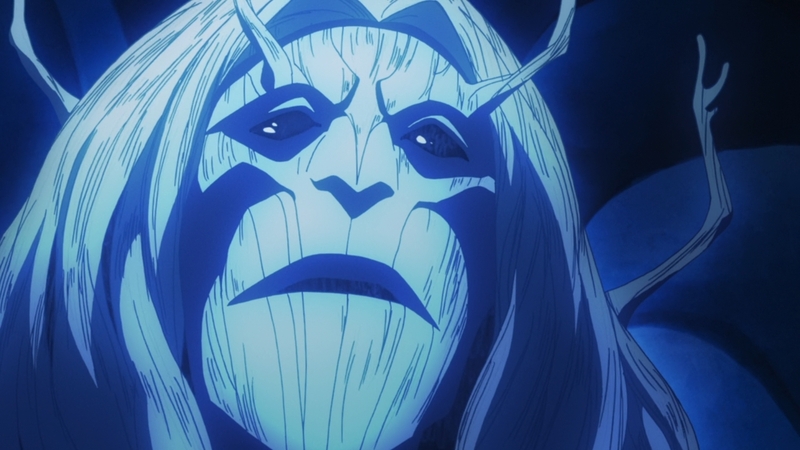 In the end this was a really strong episode. 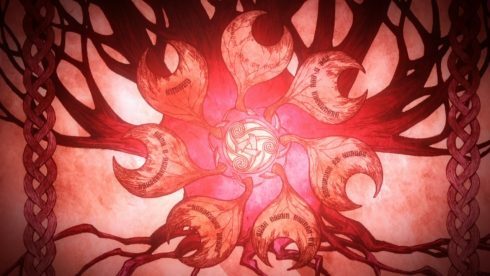 It actually advanced the plot and did drop a lot of important information. 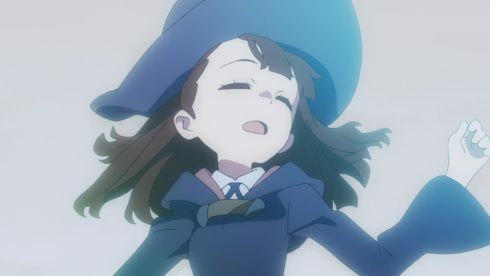 We at least now know what Akko needs to be doing going forward. 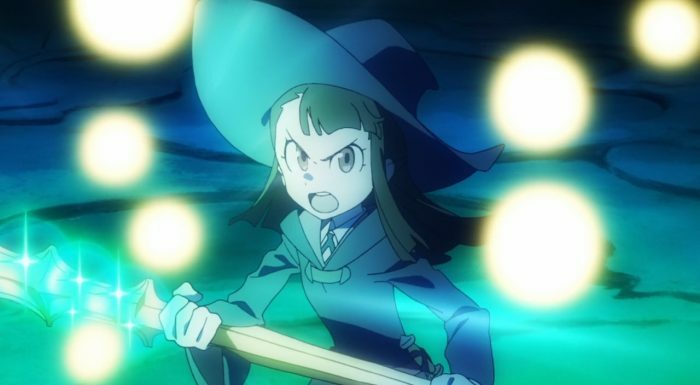 Of course she needs to work hard, she needs to improve her magic, but she also has to revive these words using the Shiny Rod. 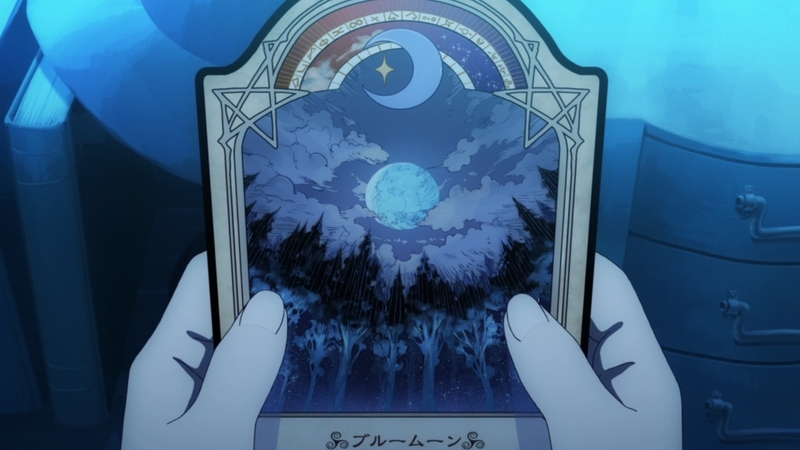 I am curious if finding this thing will simply lead to magic reviving itself more fully or if there is more going on. 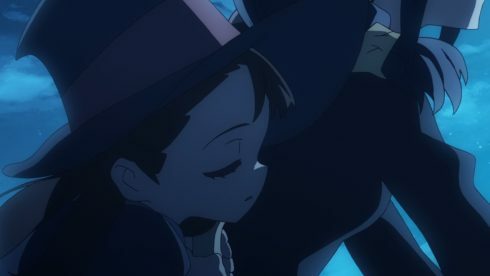 For now Akko remains in the dark and will continue having Chariot looking after her in the guise of Ursula. I’m looking forward to the coming episodes and seeing what really happens. This was a good step ahead for the plot, but of course I hope we keep this going.